If you’ve dreamed of owning an exhilarating sports sedan, come check out the 2019 INFINITI Q50. It’s breathtaking acceleration and athletic handling promise to leave you impressed. However, the INFINITI Q50 is more than just an exciting performance machine. A luxurious interior design and high safety scores make the Q50 even more rewarding. Let’s check out this sleek sedan’s key highlights. INFINITI gives you three exhilarating engines to choose from. Drivers seeking the maximum efficiency should choose the turbocharged four-cylinder. While you can look forward to saving fuel, the engine’s 208-horsepower output also allows you to have some fun. A seven-speed automatic transmission ensures the optimum reponsivness. To experience more performance, step up to the twin-turbo V6. The thrilling Red Sport model develops a staggering 400 horsepower and 350 pound-feet of torque. You’ll be able to truly blow past the competition. Handling is another one of the Q50’s strong points. A Digital Dynamic Suspension enables you to experience the perfect balance of comfort and performance. Meanwhile, intelligent AWD promotes great traction in bad weather. Although the 2019 INFINITI Q50 is engineered to provoke a strong sense of driving excitement, it still promises to deliver great comfort on the road. Terrific seats ensure an especially relaxing ride. A generous amount of legroom also makes the Q50 a very accommodating family car. While behind the wheel, you’ll be surrounded by several premium features. A dual-display setup makes INFINITI’s InTouch infotainment system especially rewarding to use. Some of the other standard goodies include twin USB ports, satellite radio, and Bluetooth streaming. Boasting a total of 16 speakers, the available Bose Performance Series audio system is bound to make your music-listening experience more exciting. Meanwhile, an available 360-degree camera makes parking even easier. The 2019 INFINITI Q50 is among the safest performance cars on the market. Aside from the Q50’s excellent crash scores, it also offers an array of world-class driving aids. Designed to anticipate an accident two cars ahead, Predictive Forward Collision Warning keeps you prepared for danger. Meanwhile, Active Lane Control helps prevent you from accidentally wandering into the path of an oncoming vehicle. Some of the other cutting-edge safety technologies include Backup Collision Intervention, Forward Emergency Braking, and Blind Spot Intervention. As you can see, the 2019 INFINITI offers an exciting exciting blend of power and luxury. 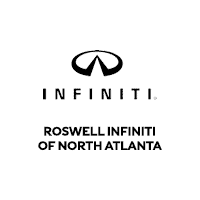 If you would like to experience the new Q50, contact Roswell INFINITI to schedule a test drive.